Are you tired of losing your recent matches? You try hard and still lose to your oppornents? Well you are at the right place. We will have you covered to help you analyze your game play and work upon it. Let us see why you have been losing. Most probably because you’re bad? But wait, it might be not right, there are other factors to see as well. If you think you are good, then stick we will certainly help you win your matches. For starting, you don’t play with friends and solo queue way too much. This is not a good practice, as the players you queue with during solo play, tend to be hackers, cancer, rage quitters and generally the scum of this community who couldn’t get any friend to play with due to their negative behaviour. Playing in that negative environment makes your game worse. You would not have that confidence that you might have while playing with your friends. That secure feeling, when you know you can try that 1vX situations and your friends would not judge you. While playing with random players, they would judge your play and criticize you on every step you would make. Now comes the second part, your gear and internet connection. Playing on a potato PC with 1994 DSL connection, expecting to be like GeT_RighT, you are just fooling yourself. Get better equipments, atleast respectable equipments which would be providing atleast 150+ FPS and a good broadband connection that provides constant ping with minimum loss. Moving on, your attitude matters as well. Criticizing other team mates and being negetive using wrong vocabulary, trolling others doesn’t win you games. Instead it makes your team more uncomfortable and then ultimately lose the match. Do not be such a person whom no one wants to play with. Generally, such players are kicked from the game as well. You should also be knowing that players from the higher ranks most of the times are boosted in the MG ranks. They use hacks and walls. Queuing against these players makes your chances to win the game is very small. You can not do anything about this. They are the legends of this glorious community, they play like they are the next face of fnatic and NiP. You can try as hard as possible but the only conclusion is a HvH game in the end. The HvH game is Hacker vs Hacker game where both team are hacking and you have no choice to save your rank, either way you are going to lose a good amount of your elo and probably your rank as well. What you can do is to play on paid servers. Such as ESEA, Sostronk, Faceit. These services are paid and let you rank against similar skill group. They have their own anti-cheats, which are iconically, better than VAC. You can play for free on Sostronk and Faceit but paid apps are more preffered due to their paid services. GLHF, hope you get your stuff together and win some matches ahead. 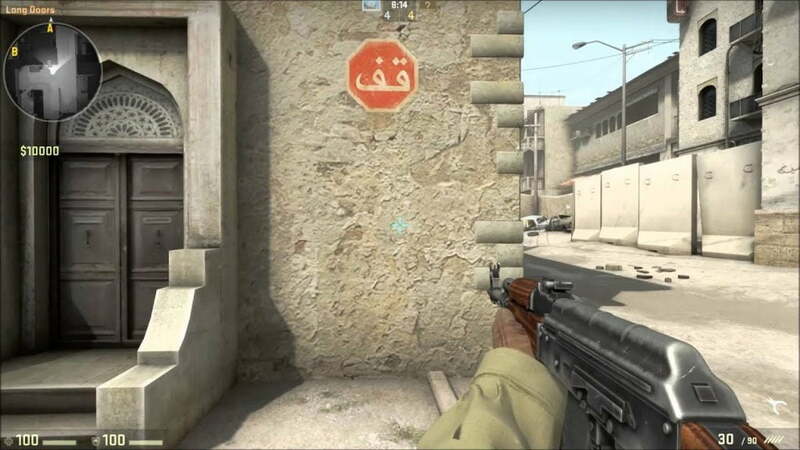 CSGOBET.CLICK » New sites » Articles » Why do you lose matches in CS:GO?